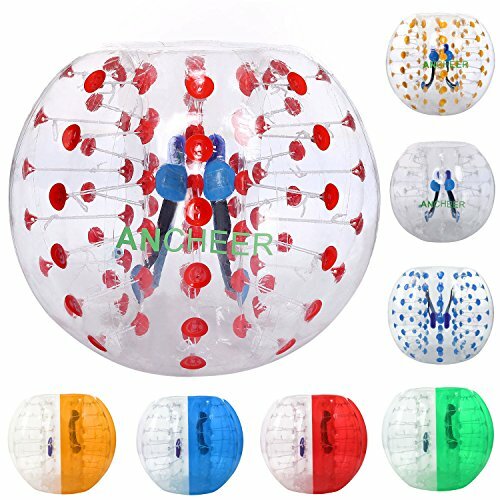 Ancheer Inflatable Bumper Bubble Balls could bring you exciting fun! You can enjoy it with your family or friends. The bubble ball is suitable for all family gatherings, parties, amusement park where is away from sharp objects. Just put it on and you are ready to do a head stand, or roll over, or even bump your friends off. You can play various games such as Body Zorb Soccer, Last Man Standing,British Bull dog and so on. These games are exhilarating and extremely fun for both adults and children (small body zorb balls are available for children).